Explores the interrelationship of the discipline of occupational science and other disciplines and professions, including but not limited to occupational therapy. Applications for the 2019 SSO:USA Student Research Grant in Occupational Science are now being accepted. The deadline is April 30th, 2019 (11:59pm PST). See the Request for Proposals for more information, and submit your grant application by clicking the red button below. You will be required to login as an SSO:USA member. Awardees will be notified in Summer 2019. 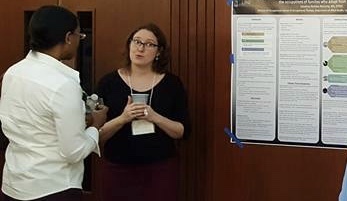 For questions about the student research grant, please contact Rebecca Aldrich ([email protected]) or Kendra Heatwole Shank at ([email protected]).